The people of Inner Mongolia live on the prairie. No matter whether it is joy or anxiety, sorrow or cheer, they always express their emotions through songs and dances. Ulan Muqir, regarded as brothers by the herdsmen, are a cultural troupe mounted on horseback, whose history spans more than six decades on the prairie of Inner Mongolia. Quge are a band from Inner Mongolia in China, inheriting the spirit and tradition of Ulan Muqir. 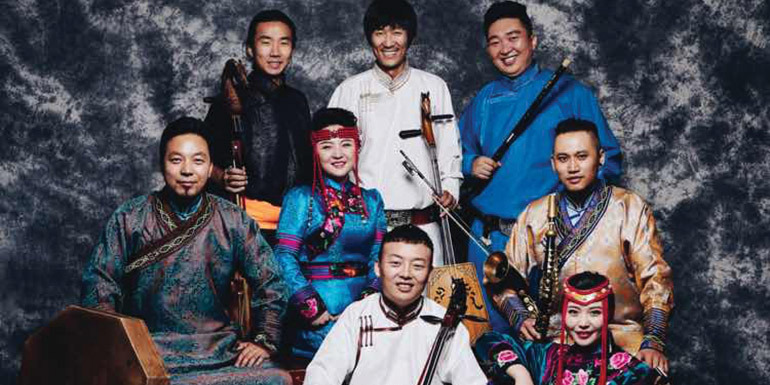 Combining throat singing and long song with horse head fiddles and four stringed lutes, Quge bring Mongolian ancient music of the kind handed down on the prairie for generations to life as never heard before.